The financial world is brimming with acronyms and baffling terms. Here’s a guide to some of the worst offenders. Sun., Sept. 9, 2018, 2:47 a.m. Excited about your new bridge loan? We regret to inform you: You don’t get a bridge. Also disappointing: Your balloon payment will be less fun than it sounds. Don’t even get us started about liquid money. Jargon is confusing, by definition. The financial world has its own set of cryptic words and phrases, and yet, it’s important to know the differences among your mortgage options and to understand the fine print that arrives with your credit card. Here’s a list of potentially confounding terms — with translations — that we hope is helpful to anyone who’s spending, saving, and borrowing money. APY. Annual percentage yield refers to how much interest you earn on your savings account (or certificate of deposit, money market account, or other account where you deposit money). It’s based on two factors: 1) an interest rate and; 2) how often your original cash deposit plus your earned interest is compounded (added to your original deposit, basically, so you earn interest on your interest) over a year. ARM. If you have an adjustable rate mortgage, your monthly payments might go up and down as interest rates change. Not all ARMs are created equal. A 3/1 ARM, for example, offers a fixed interest rate for three years but will adjust every year after that. A 5/2 ARM has a fixed rate for five years but will adjust every two years after that. Some people refer to ARMs as variable-rate mortgages, as opposed to fixed-rate mortgages. Balloon payment loan. A type of loan where you make a big payment at the end of the term. Bridge loan. This is a short-term loan you might take out until you can get a larger or longer-term loan. Some people call it a swing loan or gap financing. You might get a bridge loan so you can buy a new home before you sell your old one. Collateral. Something of value you pledge to your lender in case you don’t pay back your loan. For example, you might put up your home as collateral to get a business loan. But if don’t pay the loan, the lender can take your home. Equity. The amount of money your property is worth above and beyond the amount you owe on it. Liquid assets. Assets that can be quickly converted into cash, such as certificates of deposit or government bonds. An illiquid asset — such as real estate — can’t be converted into cash quickly or without losing a hefty amount of value. 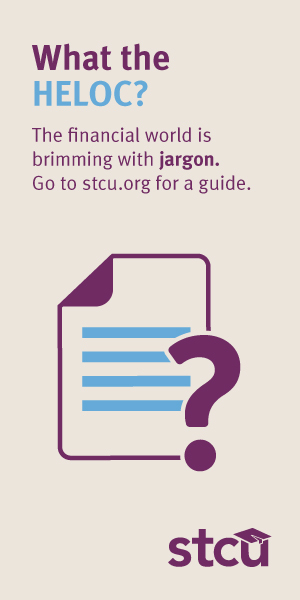 There are more acronyms and other baffling terms in the financial world, of course. Many, many more. The key to making sense of the jargon is simple: Ask questions. Published: Sept. 9, 2018, 2:47 a.m. Updated: Sept. 15, 2018, 2:47 a.m.